This is our fourth and final instalment on our series on Bream Fishing In Australia. In Part 1 of our 4 Part Series on Bream, You read about The Best Places to Find Bream in Australia. 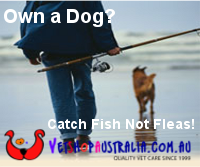 In Part 2, You read about the Best Way to Catch Bream in Australian Estuaries, Bays and Harbours and in Part 3, you read about the Best Bait and Rig for Surf and Rock Fishing For Australian Bream and About Fishing for Bream with Soft Plastics In Australia. In this part, you read our favourite recipes for Australian Bream. Australian Bream tastes great. Be aware that Bream from lower estuaries, harbours and the open ocean have moist, white flesh with a clean, sweet flavour while upper estuary or freshwater dwelling fish often exhibit slightly softer flesh, and can have a slightly weedy or muddy taint at times. Here are two of our favourite whole Bream recipes. 1. Mix lemon, thyme, rosemary and asparagus into a bowl. 2. Add sea salt and ground pepper, olive oil and white wine. Mix well. 3. Pour over fish and coat well. 4. Place half of the mixed ingredients on a large piece of foil and then put the fish on top. 5. Cover fish with remaining mixture and wrap fish well in foil. 6. Place the package in to the bonfire and leave to cook for 7 to 10 minutes. 1.Scale and gut the Bream removing gills and cut through buoyancy sack to remove blood around backbone if any. 2. Cut three to four marks through the flesh along the fish to help the flavour penetrate and to speed up the cooking process. 3. Wash and Slice kafir lime leaves, de-seed chillies and slice into small dice, then slice lemongrass into small rounds. 4. Slice ginger into matchstick style pieces and mix all together with Lemongrass, kafir lime leaves and chilli. wedges of the lime to fill the cavity. Season with a little sea salt. 6. Place a sheet of foil on the bench then place a piece of silicone paper on top of the foil. (Glad Bake) Top the fish with the rest of the mix. 7. Top with half moon slices of lime and layer them over the top of the fish. Zest the other lime and sprinkle on top of the fish and add some sea salt. 8. Wrap the fish and leave one end open to add the white wine then pace in a baking dish. 9. Pre heat an oven to 220°C. Place baking dish with fish in oven for 25- 30 minutes. Open one end being careful about the steam. Check the fish and if cooked place it on a plate. 10. Drizzle the light soy sauce over the fish and garnish as required. 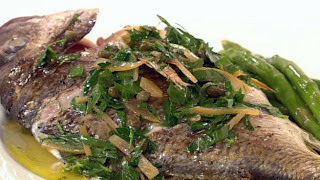 Got a favourite Bream Recipe? We'd love to hear about it.